“Tegan, why do you dislike me so much? You hardly know me?”. Turlough (Mark Strickson) was first introduced in Mawdryn Undead – 1983, as a school student of ex-UNIT head, Lethbridge Stewart; who had retired from the Army and was teaching Maths. Turlough was actually an alien from the planet Trion, who was under the control of the Black Guardian with a score to settle with the Doctor. To say that Turlough was weird was an understatement. With his shock of bright red hair, pale skin, arched eyebrows and beady eyes. 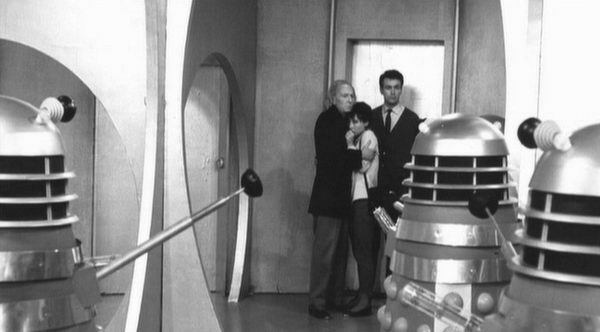 Tegan didn’t ever warm to him and the Doctor never fully trusted him, either. This was partly due to Turlough having been used as a pawn by the all powerful entity; the Black Guardian – who wanted the Doctor dead, in the Black Guardian trilogy – Mawdryn Undead, Terminus & Enlightenment – 1983. Turlough was controlled by means of a small flashing crystal, which also doubled as a communicator. However, he was not totally under the Black Guardian’s control and whenever he fought back against the impulses – to kill, the Black Guardian punished Turlough with physical and mental torture. He eventually freed himself from the mind control and helped the Doctor defeat the Black Guardian, before joining the Tardis crew. It was in Planet Of Fire – 1984 that Turlough finally revealed his origin to the Doctor, as being an exiled member of a race known as “Trion”. He also learned he was a “Chosen one” due to a tattooed symbol on his arm. When the people of planet Sarn were in danger, from an active volcano, the Doctor, Peri and Turlough helped them and Turlough decided to remain behind and rebuild Sarn society. A Trion rescue ship was on its way to meet Turlough and return him to Trion, where his previous unknown crimes had been pardoned.